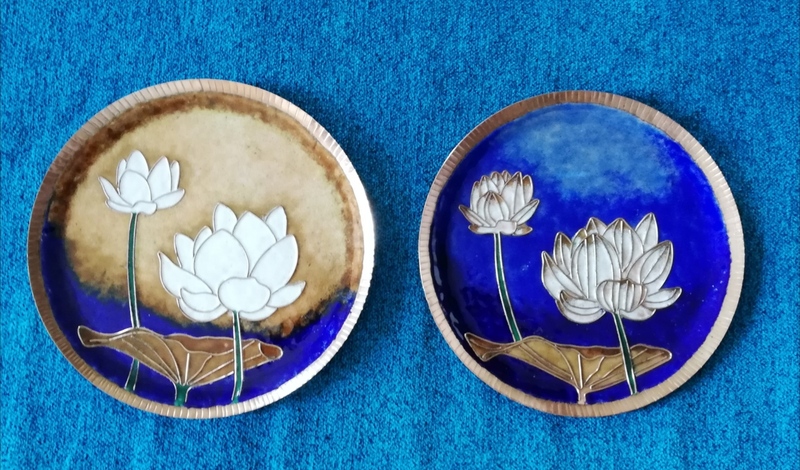 Presenting our new range of handcrafted copper enamel wall plates made by our rural artisans in western ghats of Maharashtra, India. Ideal for hanging on the wall or just keep it on a tabletop. 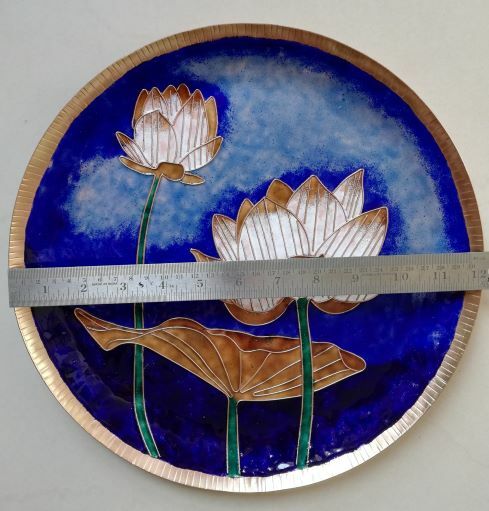 Price for a single plate as shown in image 1 Copper Enameling is the age-old craft of fusing glass onto the copper surface for color enrichment. 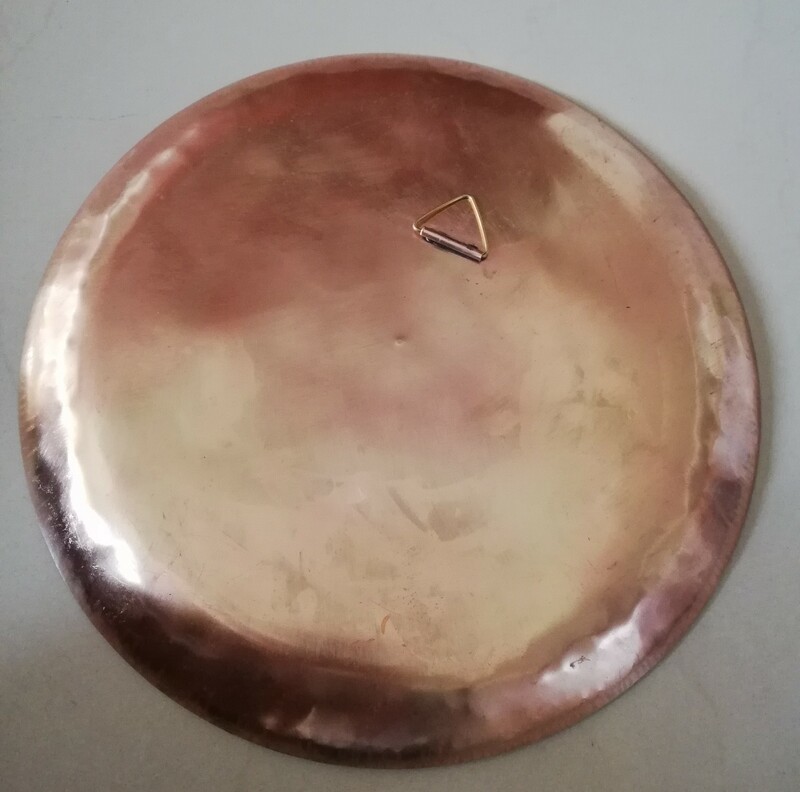 The glass powder is laid onto the copper surface in the requisite patterns and the assembly is heated to about 700 to 900°C, at which point the powdered glass melts to form a coat on the copper surface. 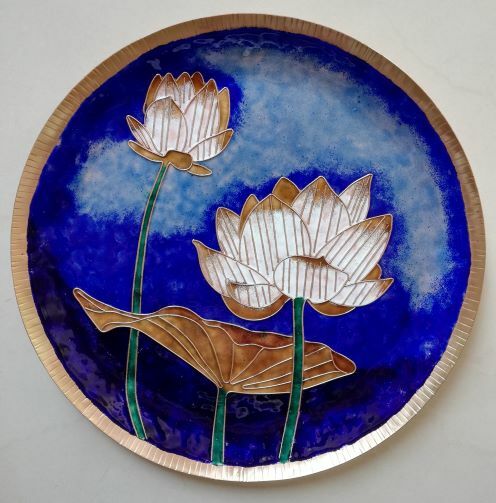 This glass enameling not only lends its vibrant colors to the copper surface, but also prevents it from oxidizing. True to our name, we achieve balance by bringing together things that have traditionally been perceived to be at odds with each other.  Ekibeki also means oneness of interests, sentiments, pursuits among different groups or entities. Ekibeki is a social enterprise focused on identification of dying crafts and undertaking initiatives for their development and sustenance.